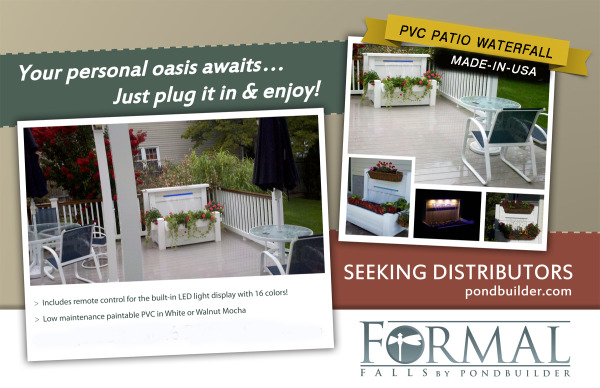 The Patio Waterfall comes all contained in 1-box complete with the PVC enclosure and all the necessary components for the Formal Falls. 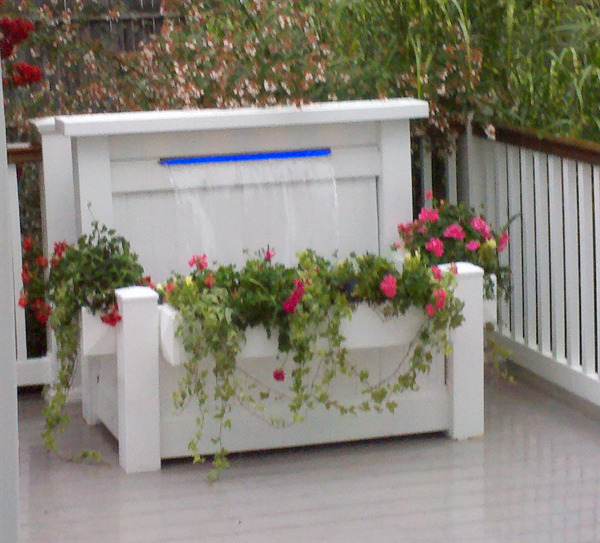 The Stainless Steel Formal Falls is 28" wide and comes complete with the plumbing and pump for a self-circulating sheer waterfall. 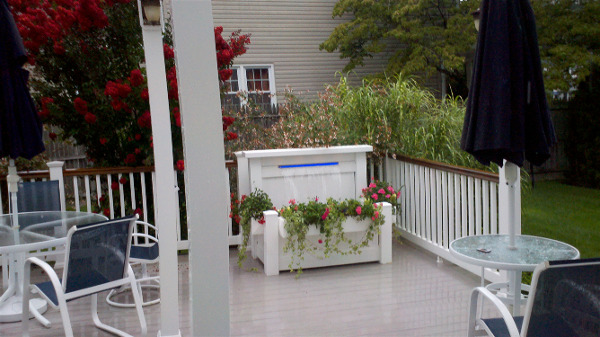 All sides of the Patio Waterfall are enclosed using the PVC vinyl material. 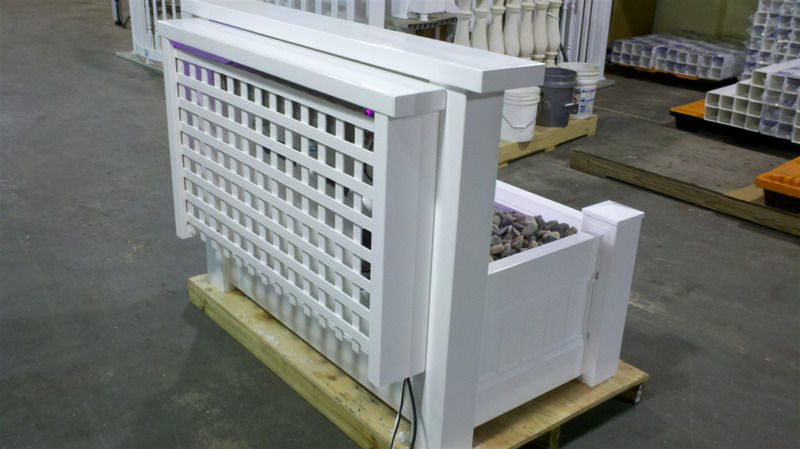 A lattice panel hides the mechanics yet makes accessing the Formal Falls and plumbing an easy step. 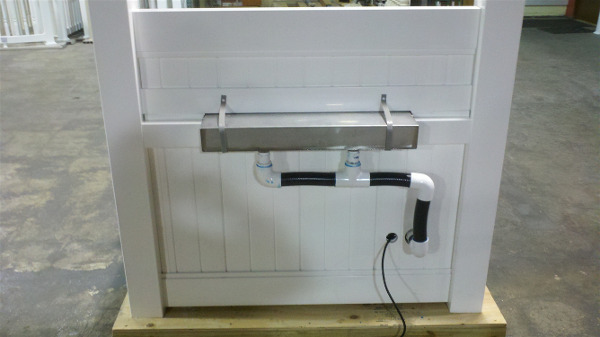 The molded Medium Basin is 44" x 22" wide and rests within the PVC enclosure. 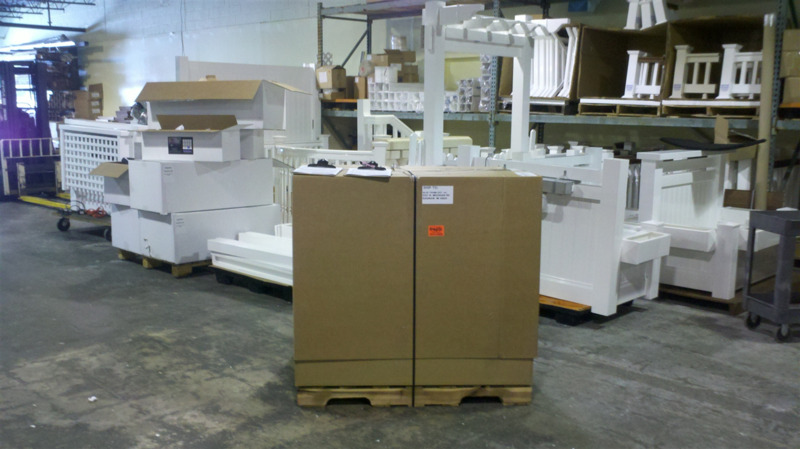 The sheer waterfall will hit a splash mat material that covers the width of the basin. 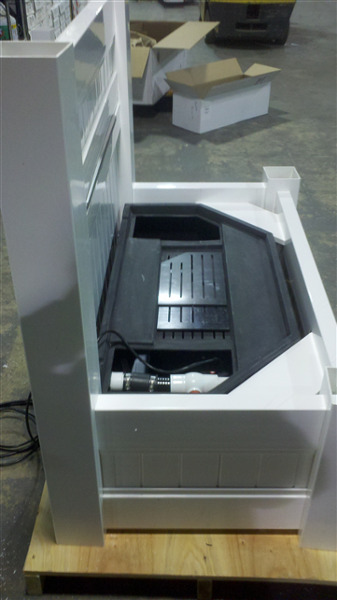 Pump access can be found under the mat and stainless steel lid. Each Patio Waterfall comes with an IR Remote which enables viewers to control the rotating or still colors of the LED light strip. 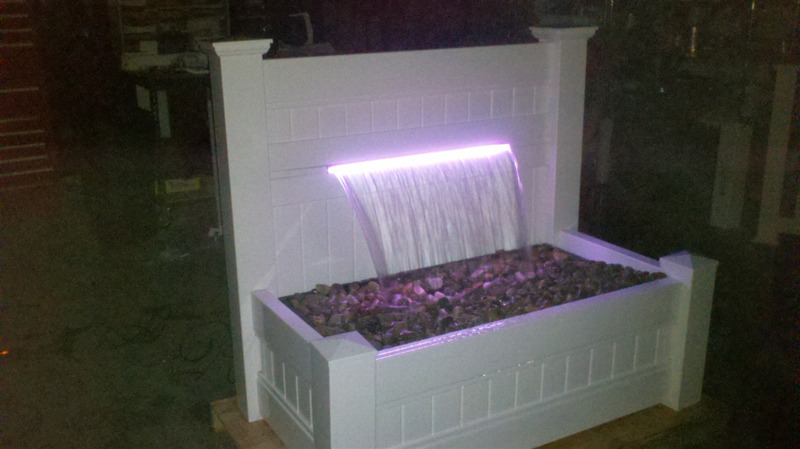 Light transcends down the waterfall making a great night-time water feature for your patio or deck. 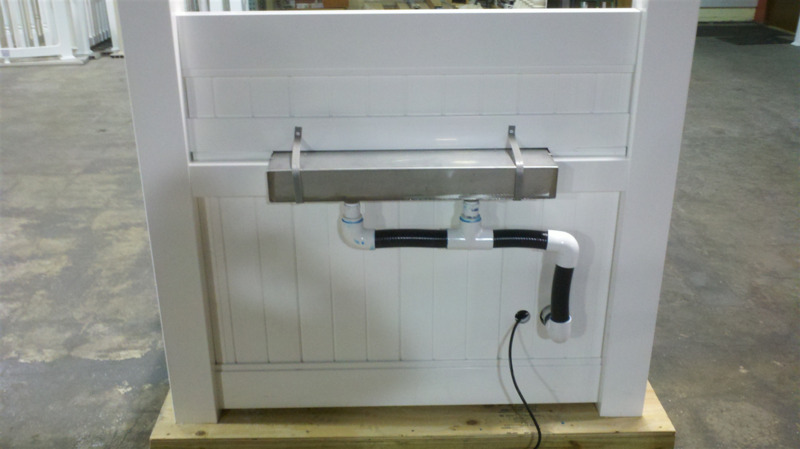 We have addressed weight, ease of the plug-n-play installation and versatility with the new Patio Waterfall completely made of PVC vinyl and Stainless Steel. Install in your landscape, on your patio or even a 2nd story deck! 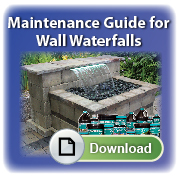 The Patio Waterfall is a Complete Waterfall Kit. 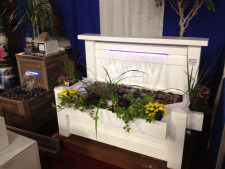 Just add water and your plants to the 3 planter boxes that are included. Ready, Set, Enjoy! Join us Socially to see many more examples!